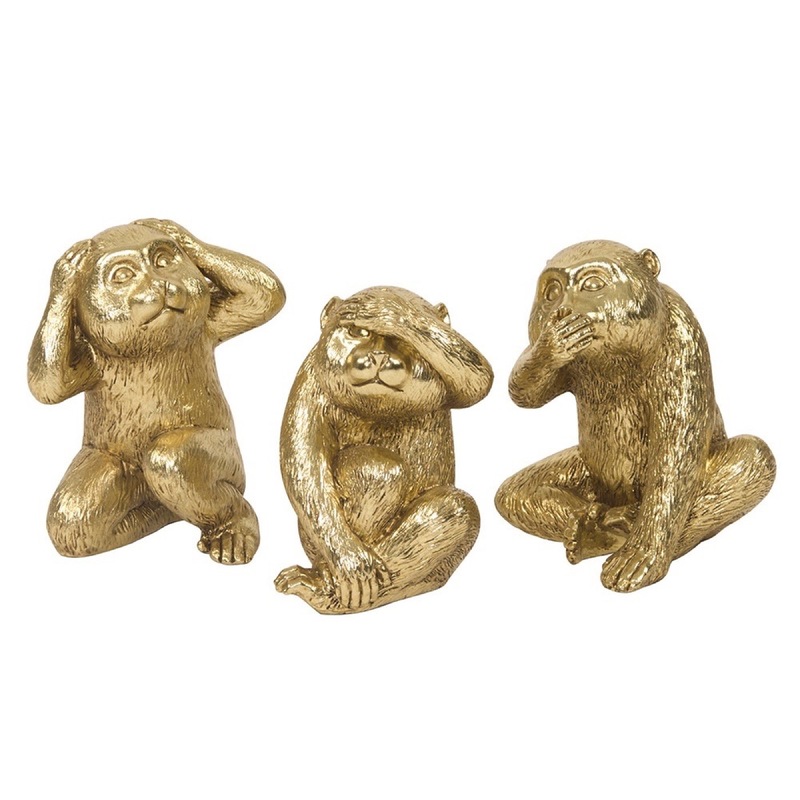 Fashioned from polyresin and finished in a bright gold, this object set features playful monkeys miming the well-known "Hear No Evil", "See No Evil", "Speak No Evil" adage. The bottom of each object is padded so as not to damage surfaces. 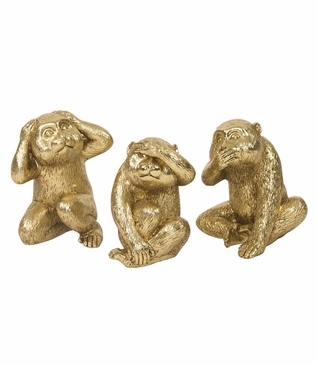 These little guys are the perfect whimsical accent to your decor. Sold as a set of three.